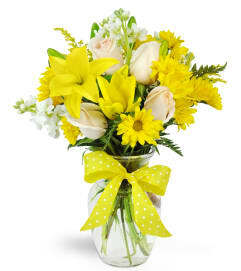 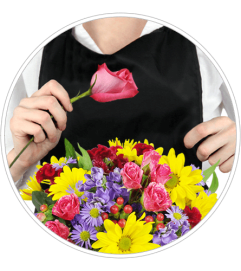 Brighten Your Day Bouquet is blooming with brilliant color and cheer and is sure to lift their spirits with each ULTIMATE bloom. 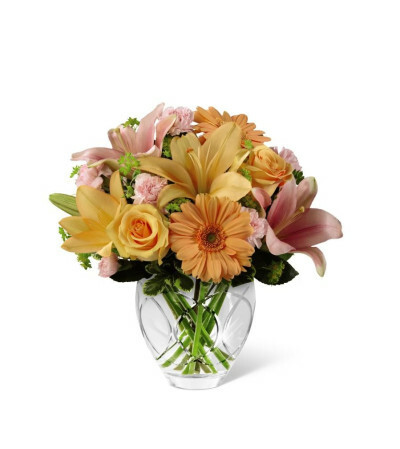 Peach roses, gerbera daisies, and Asiatic lilies bring a soft energy to this bouquet when combined with pink mini carnations, pink Asiatic Lilies, bupleurum and variegated pittosporum. 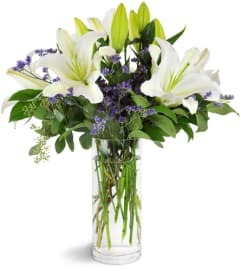 Beautifully presented in a designer Crystal cut clear glass vase, this bouquet creates a wonderful way to show them how much you care.